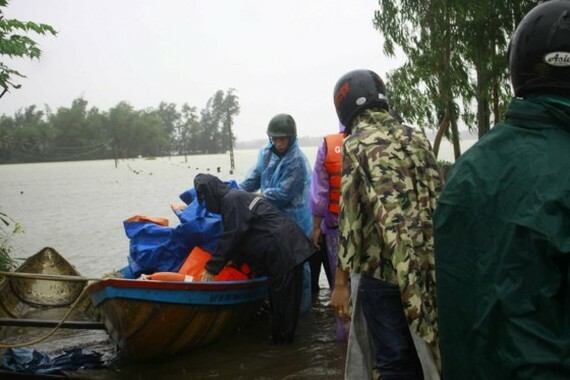 Quang Ngai People’s Committee said till afternoon November 6, the floods isolated thousands of households in Binh Son, Nghia Hanh, Tu Nghia districts in the central province of Quang Ngai. Authorities mobilized many volunteer teams to deliver basic necessities, food, instant noodle, and fresh water to the isolated households. 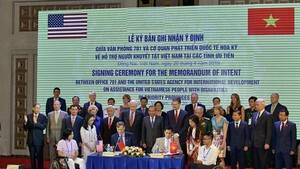 Mr. Dam Bang, deputy chairman of Nghia Hanh district said 1,500 boxes of instant noodle were delivered by boats to the flood hit households, adding that from today to following days, authorities would continue handing out food, fresh water to local residents in hope to help the locals overcome consequences of this year’s floods.